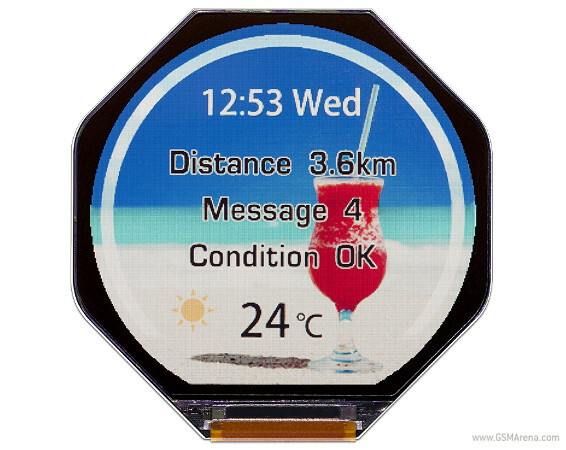 That’s because its power consumption can be as low as 0.5% or less when compared to a traditional LCD module. JDI says that its reflective design can achieve this because it’s different than a normal LCD panel, where 80% of the power requirements go to the backlight. Furthermore, the new display remains vivid under bright sunlight. This all sounds a bit too good to be true, and obviously if there are any caveats (big or small) JDI didn’t think they were worth mentioning in its press release. So we’re looking forward to seeing this product in actual shipping smartwatches, because then we’ll be able to accurately assess the claims regarding battery life improvements. Spec-wise, the screen is a 1.34-inch unit, and it has 320×300 resolution. It will start sampling in March, with mass production scheduled for July, so we might just see it used in a wearable or two in the latter half of the year.